The Emerald Dove: Please Advise Me! This is quite an unusual post but I really need some advice. I have the chance to go to Germany on a twinning trip and stay with a host family but it would mean I would have to fly there alone and stay a week with complete strangers in a town I never visited before. You may not have guessed but I am very shy (which I could do a post about if anyone is interested?) and rather a worrier so I'm not sure how I would find it so I would love to hear what you guys think and whether you think I should go. I would also be very grateful to hear from anyone who has travelled alone - especially if you are quite young or are shy/nervous. I stayed with a host family for the first time when I was 17 and had never been away from my family for more than a weekend before. Needless to say I was very nervous, but it turned out to be a great experience and one that I learned and grew from so much! Since then I've had two additional host family experiences, totaling over 8 months of staying with strangers (all of these in Spanish-speaking countries.) Living abroad has been incredibly formative for me, and I can't recommend it enough. 1) You can be as shy as you need to be! Being in a strange place is a wonderful opportunity to sit back and listen. The family will appreciate your smiles and polite presence, no matter how quiet you are. Try not to be hard on yourself - remember that many people wouldn't dream of traveling alone or speaking a foreign language, so just the fact that you've made it there and said "Guten Tag" is a feat worth celebrating! 2) Flying alone can seem daunting at first, but I promise you it's ultimately quite simple! If you can figure out how to create and run a blog, you can figure out an airport. If you get confused, there are always lots of people around to help you, and they're used to dealing with disoriented travelers! I'm known to be a nervous flyer, but there is something quite serene and liberating about being in the sky with just my journal, a book, and the clouds. 3) Remember that it is only a week, so even if things go somewhat poorly, you get to return home after a short time! In all likelihood, it will be a mixed experience: some moment will be nerve-wracking, others wonderful. No matter what, you will learn about yourself and others and grow from the experience! Ok, I had a similar opportunity last year to go Miami and meet my friend out there. But this meant travelling on my own. Just gotta think to yourself will you get another chance to go to Germany in which you will feel more confident? Keep us updated if you go or not! I think you should do it for sure! It will only be scary for that brief first moment and then you will ease right into life there. When you are older you would regret not going. 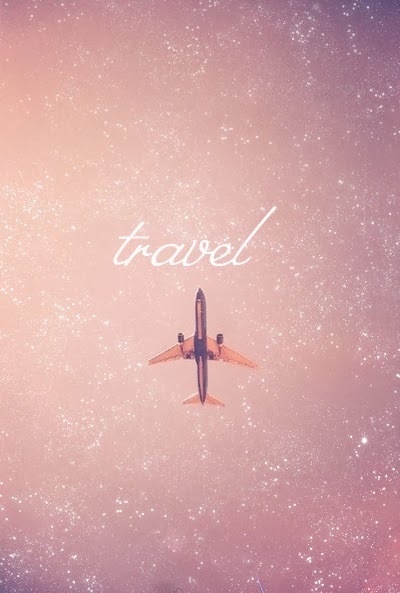 Travel any time you can! You will love it! It sounds really exciting and one of those opportunities you'd most likely regret not taking! You should go for it, and the worst than can happen is you dont enjoy it - but there are so many more great things which could happen!